Do You Have Tasty Recipes for Success? Content marketers can learn a lot from the online videos featuring new recipes. The moment a food video appears, people drop what they are doing to watch. The sales funnel flipped and today it is all about attraction selling. Although it’s rare for me to be distracted, I am no different when it comes to seeing the notifications of the latest mouth-watering recipes. Admittedly, I move my attention to trying to memorize the ingredients and the recommended preparation. Just last night, I tried a vegetable recipe that put a smile on my face as it reminded me of a favorite restaurant in Sonoma County, CA. Further reminiscing reminded me of many years ago when I visited the first organic restaurant, Flea Street Café, in the Bay Area. The owner cleverly wrote a cookbook that features recipes according to seasonal availability of the ingredients and taste of the consumers. In the corporate arena, most hiring takes place at year-end for the actual jobs to begin in January. Salespeople are trained to project sales throughout the year. Fluctuation in sales is a given. However, there is a seasonal process for maintaining a steady flow. 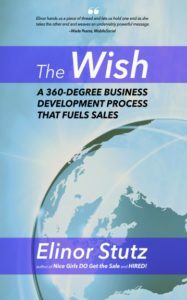 The first few months of the year, business development comprised of finding potential prospects is essential. By the second quarter, sales usually begin to take hold. And then there is summer where most clients are away at some point on vacation. In September, reality sets in both for salespeople and clientele. Everyone realizes they need to come to terms with the expectations set for them. Accordingly, an increased number of serious conversations begin to take place. The last quarter of the year is known for being the strongest month for concluding the sales in question. The season includes the big holidays of the year along with food baskets of thanks and invitations to client parties. It is the season of good cheer. One notable difference between the successful and the average salespeople is that the first group is already planning their recipes for success in the following year. Are you on track for your yearly goals? Are you doing everything in your power to achieve expectations? Where may you improve to ensure success at year-end? Summer is the perfect time to check in with current and prospective clients. Everyone is more relaxed and are pleased when you ask about their vacation plans. This type of call will receive heaps of appreciation. The advantage is you will be far more likely to enjoy a serious meeting come September, and by December finalize business. Promise yourself that in the last month of this year, you will create a flexible plan for achieving goals and milestones in the following year. Get into the mindset of your clientele. Consider how you may apply the joy of each season to the work you do. Referencing the season is a great conversation starter and will increase curiosity about what you have to offer. It’s akin to offering a tasty video recipe appropriate for the time of year. A more sobering thought is that by maintaining a daily running task list, you are more likely to celebrate the year-end holidays with joy each year. As the last month begins, it becomes the right time to start planning the entire next year. My tasty recipe for sales success is to have candy bars available on holidays for those who work the front office and to send a tasty gift basket whenever a sale is made. Mid-year analyze where you are and need to be by December. Ramp up activities to develop additional business and alleviate year-end stress. Exchange insights with trusted peers. Casually call prospective clients to learn of their vacation plans. As you make calls, ask for the best time to have a follow-up meeting. When the meeting date arrives, inquire about the client’s vacation. Assess where tweaks are necessary for an improved follow-through. Commit to strengthening your weaker areas. Following these guidelines will lead you to the Smooth Sale! P.S. 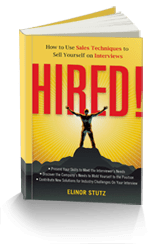 Send us your sales related questions to elinor@smoothsale.net. Inquire about inspirational/motivational speaking for your next event and sales training.